SR transitioned from car stereo to home theatre to arrive at good old two channel high-end audio. He’s still on his journey but is now seeing where he wants to go – more and better gear and more diverse music! But regardless, he’ll always have room for his beloved Queen. This interview by Tom Waters was originally published in Sound Travels (reprinted with permission of nextmedia Pty Ltd). Tom Waters: Do you have a first memory, a first unforgettable musical experience that left an impression? SR: The first band I probably saw was the Angels, and then Jimmy Barnes. I used to go out a lot and listen to live bands at pubs and RSLs. We still go out but not as often. I guess kids slow you down a bit and change your priorities. Our older daughter comes with us now a fair bit of the time. TW: So it wasn’t some hi-fi system in a shop that initially got you interested? SR: I was into car stereo when I was growing up, and I still love tweaking it. I was always chasing good sound. I’m into cars too. An expensive hobby, but then hi-fi isn’t cheap either! I’ve always been around music, and you get on a journey I suppose. I’m definitely not finished with what I’m doing with my home system. For starters, I suspect the Musical Fidelity amps don’t have the current to truly energize the Megalines, especially at lower volumes. TW: And did that start you on the hi-fi journey or did something else start you on the audio equipment quest? SR: It was basically car stereo initially, and then home theatre. I’d like to setup a dedicated home theatre room too, even though my pocket won’t like it. But now I’m mostly into good two channel sound. TW: Where do you think your system is going, or has it arrived? SR: I am still on a journey, but I’m seeing a bit of light at the end of the tunnel. I’m always looking at something new and affordable, a direction in which I can move. If I can get a bit of different kit than mine, then I’ll do it. Hopefully it’s the right choice! I check eBay and StereoNet for gear and I continually go to hi-fi stores. I bought my Megaline speakers from a South African friend. I also bought a pair of Tannoy TD-10’s off him but I don’t have those anymore. I like the sound I get from the Megaline ribbon tweeters – it’s detailed but the sharpness isn’t there. TW: I notice you don’t have a turntable. Do you have any plans for vinyl? SR: I do think I might get into vinyl. There’s nothing really holding me back – the cost isn’t really a factor. I just want other bits of kit first, so the turntable is continually shifted to the back burner. I have had some people tell me to not go that way, but I think it’s the next level if you want analogue sound. It’s not quite as smooth sounding as CDs, I don’t think. There’s a bit more presence with vinyl that I like. But I think all the maintenance of a turntable might annoy me a bit – cleaning records, ridding static, cleaning the stylus, etc. And really good records are expensive too. So I’m a bit conflicted with the idea. TW: What’s your favourite piece of equipment at the moment, something that you wouldn’t sell? SR: Well, I like my speakers, the Dali Megaline Mk 3. They’re something I would keep, until I find a better replacement. I know it would be hard to get something to compete with them, unless I go crazy and spend lots more money. And speakers in general can be very room dependent too so you need to be careful. It’s hard to get it right! Right now, I don’t think they’re the weak link in my system. I do like the Verity Audio Lohengrin – they’re really nice and open with a more pin-point sound. The Megaline speakers give you a big event sound, a huge sound stage. [I get the impression that the Megalines are like electrostatic speakers but without the limitations of them – TomW] Yes, a lot of people say that! I really like the Plinius Reference amplifiers as well, but I’d like to get two of them so I could use one on each speaker. 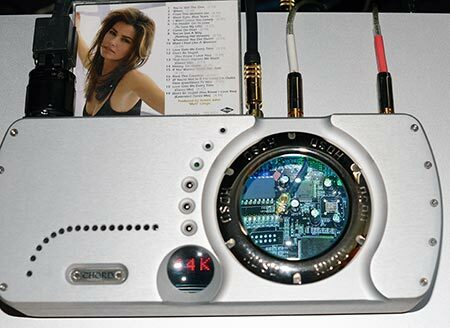 TW: What do you see as your next hi-fi purchase or upgrade? 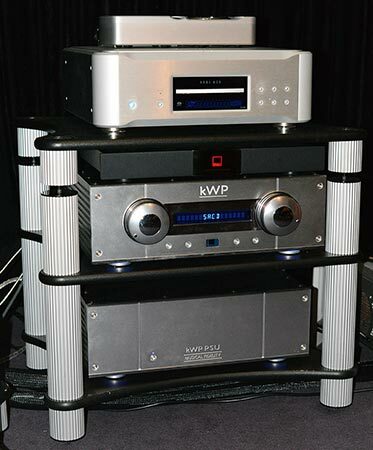 SR: My next purchase would likely be monoblocks amps, a music server or a good turntable. 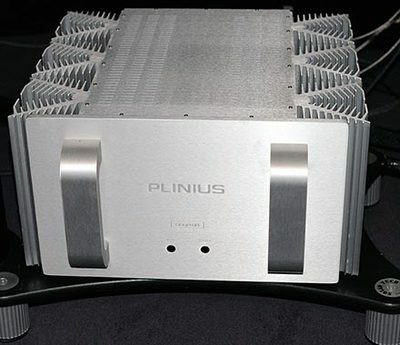 I’m not certain it’s a good idea to have two different amplifiers with different characteristics driving the different frequencies – the Plinius on the midrange/highs and the MF monoblocks on the bass panels. I’m possibly introducing some cohesion issues across the frequencies. TW: So you’d buy a music server or would you get into computer audio? SR: I’d like an Aurender music server, but when you break it down, it’s just computer parts. I’m somewhat puzzled when people say they don’t want a computer in their system, but a music server is just that. A friend of mine might make me a good computer I can use, so I’d likely start off with that and see how I go. TW: You mentioned Vitus amplifiers earlier. What is the attraction? SR: I’ve heard them, and I did like what they were doing. There may have been other factors in play, but I felt like they give you everything you want in the music, especially when you turn the knob up. TW: What’s the most memorable pair of speakers (or system as a whole) you’ve ever heard? SR: I don’t go to many hi-fi shows. I do frequent hi-fi shops but I haven’t really heard the best they’ve got. I did hear the Genesis 2.2 and was quite impressed. They’re huge speakers with separate cabinets for bass and midrange/tweeters. The Steinways made an impression visually but I’ve never heard them. TW: Is there any component you’ve owned and sold that you now regret selling? 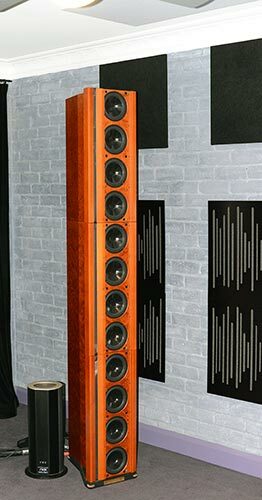 SR: I do miss my Tannoy TD-10 speakers with matching sub. They had a nice look about them – nice timber and finish. TW: Do you use the same music for comparing components as you do for listening pleasure? SR: Yes definitely. I find this very helpful as I am familiar with the artist and track. TW: What genre of music do you listen to mostly and who are some of your favourite artists? SR: I like Rock, Pop, Instrumental, Jazz, easy listening. Bands like Queen, Led Zeppelin, Deep Purple, Black Sabbath, Coldplay and Bruno Mars, plus solo artists like Chris Isaak, Tracy Chapman, Ben Harper and Chris Jones. And I listen to some country like Kasey Chambers. I go with whatever suits my mood at the time. My music tastes have changed over time, or broadened if you want to say it more appropriately. Some of the recordings from some bands are bad, but I listen for the energy, the awesomeness. And some you have to play loud to get the impact. Right now I’m craving music from different artists – I want to hear what’s out there! TW: What would be your ‘desert island’ music albums if you could only choose, say, three works? SR: Queens’s greatest hits, probably 80’s greatest hits plus 90’s greatest hits as I grew up in that era. TW: How would you describe the sound you’re getting from your current system? SR: Effortless, smooth, engaging, warm, detailed, big presentation. It’s an easy listening type sound - nothing is “in your face” screaming “turn me down”! It’s transparent, open without being harsh. It doesn’t sound like it’s compressed. It can go very loud and still be very clean so you have to watch you don’t overdo it and damage your ears. I don’t play music as loud as I used to but it’s good to know I can. TW: You have some room treatment on the walls and ceiling. Tell me how that helped with the sound quality. TW: In what way does music affect your life, your emotions and the way you feel? SR: It relaxes me, it can change my mood. If I have a bad day, I come in here and play something soothing and the badness all melts away. It can be like time travel. TW: Where do you see the high-end audio industry going in the future? SR: Look, I’ve really got no idea! Who knows, I hope it’s not constantly changing like TV technology; that would be hard to keep up with. I think the high-end will survive – there will always be people looking for something better. I think it’ll go more digital – that also seems to be the direction that many manufacturers are pushing things. The technology is getting better too – you can get good sound for far less money than say 10 years ago. Likely more streaming and downloads. CD sales have dropped 80% in the last 10 years but still outsell vinyl by a huge amount. But vinyl isn’t likely to go away anytime soon either – there’s still a good demand for it. TW: Where would you like the audio industry to go or to evolve to? SR: I don’t want a TV panel in my listening room but a holographic image of the performers in my soundstage would be awesome. I’d like to “see” the actual performers. Many systems are up to that – where it sounds like the performers are in the room. For me, that would complete the picture..!